Is sunscreen necessary indoors or when it’s cloudy? Yes. UV rays are everywhere, and UVA in particular, is able to penetrate window panes. Are waterproof sunscreens truly waterproof? There is no sunscreen that is truly waterproof for long periods when exposed to water. Such claims are no longer allowed by the FDA. Waterproof or water-resistant sunscreen must now indicate the number of minutes it can retain its sun-protection when being in the water, after which, reapplication is required. To be safe, reapply your sunscreen whenever possible! 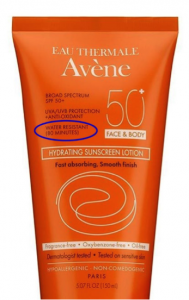 Is there a difference between face sunscreen and body sunscreen? In terms of sun protection, there is no difference. The main difference lies in the cosmetic properties, because facial skin is more delicate and sensitive than the skin on our body. For instance, facial sunscreens are usually lighter in texture, contain skincare properties (anti-ageing etc), and less likely to have chemical irritants. 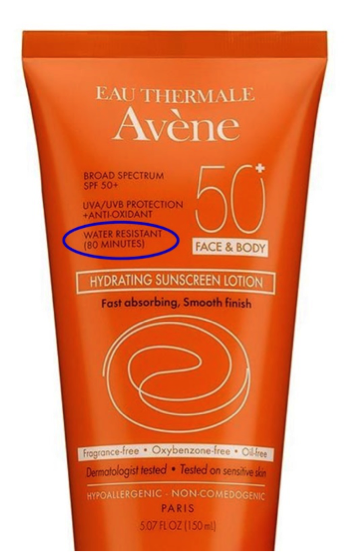 It is hence not surprising that facial sunscreens are more expensive than body sunscreen! How do I remove sunscreen? Sunscreens are typically hard to wash off with a simple facial cleanser. To prevent your sunscreen from clogging your pores and discouraging you from using the right amount, do use a makeup remover (I personally enjoy using cleansing oils and micellar water) to remove it before washing your face with your regular facial cleanser. Don’t forget that our lips also need protection! In fact, the skin on our lips are thinner, and can be more susceptible to ageing and sunburns. Unfortunately, sunscreen for lips are not commonly found, and one product I recommend is Supergoop’s Fusion Lip Balm SPF 30. Another product which I recommend, is sunscreen which can be taken orally. Yes! These do exist. The pioneer in oral sunscreen is Heliocare. It contains a patented compound called Fernblock, which is said to reduce sun-induced free radicals by up to 50%, protecting the entire skin surface from sunburn and redness by up to 300%. This could be a handy alternative to people who dislike the hassle of applying sunscreen. However, if you are under the sun for hours (e.g marathon running), it is still recommended to apply a sunscreen. And, I don’t work for any of these brands and not paid to market them too. My recommendations are based on my experience. To conclude, use an appropriate amount of sunscreen, and reapply whenever possible, to ensure adequate protection from these harmful rays. There have been new studies about the detriments of using too much sunscreen, causing a vitamin D deficiency, which in turn leads to other health detriments. However, the advantages of using sunscreen far outweighs the possible detriments of using too much sunscreen.